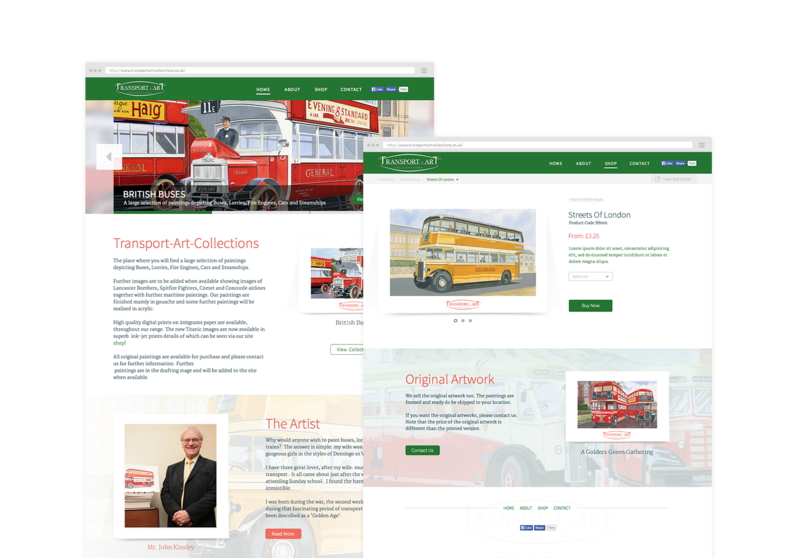 Transport Art Collections is a small art business owned by John Kinsley, a British painter and piano teacher. 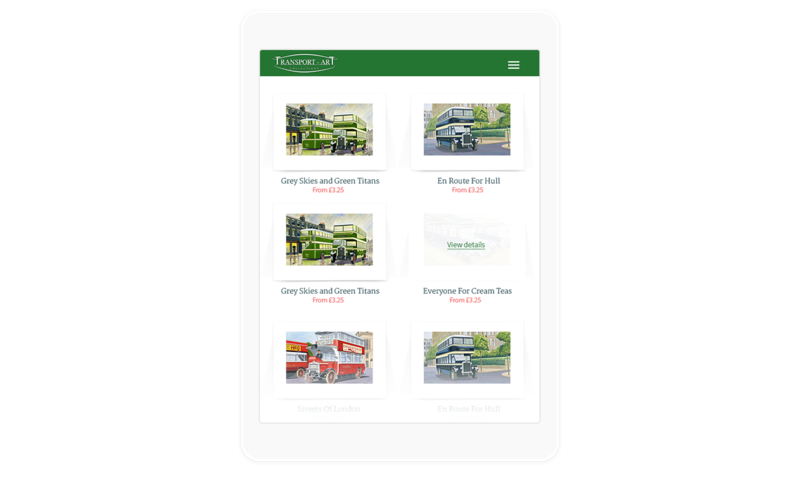 His work includes over 300 images depicting Commercial Vehicles, Fire Engines, Buses and Coaches and both British and American classic cars. 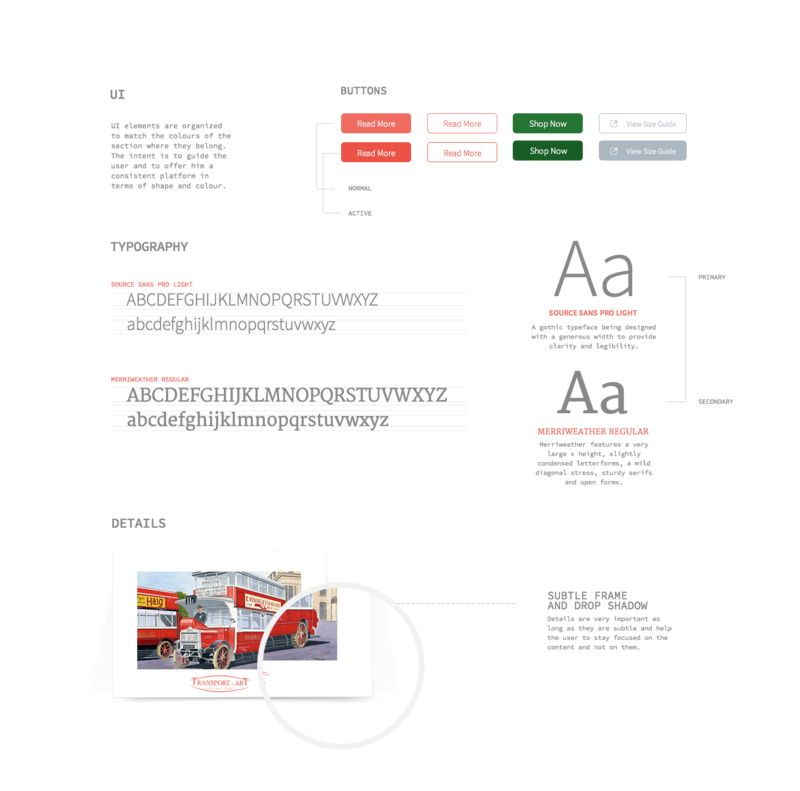 Simplifying the client’s old website and making the order process easier to manage. 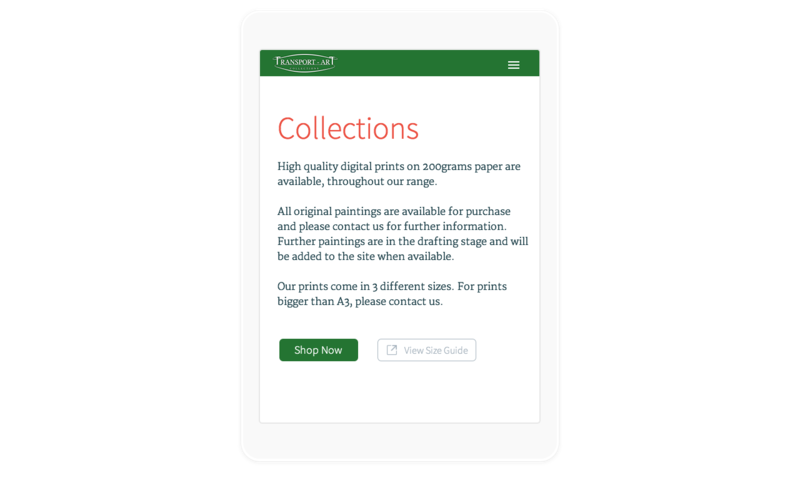 Designing a clean website focused on the artist’s work for both mobile and desktop users. 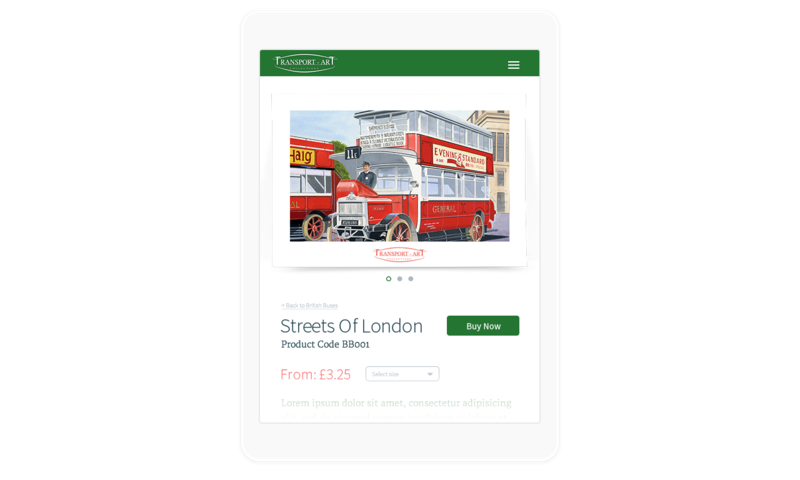 The website design is clean and simple, combining a modern look with faded background images along side pastel colours inspired by the paintings. I have chosen to use a subtle frame to show the paintings, wanting somehow, to keep alive their vintage style; and at the same time to emphasise their nice colours. The "Facebook" feed on the homepage, the simplified shop section integrated with "PayPal" and the use of a sidebar to navigate between the categories, were the main 3 elements I had to focus on in order to simplify the user experience. 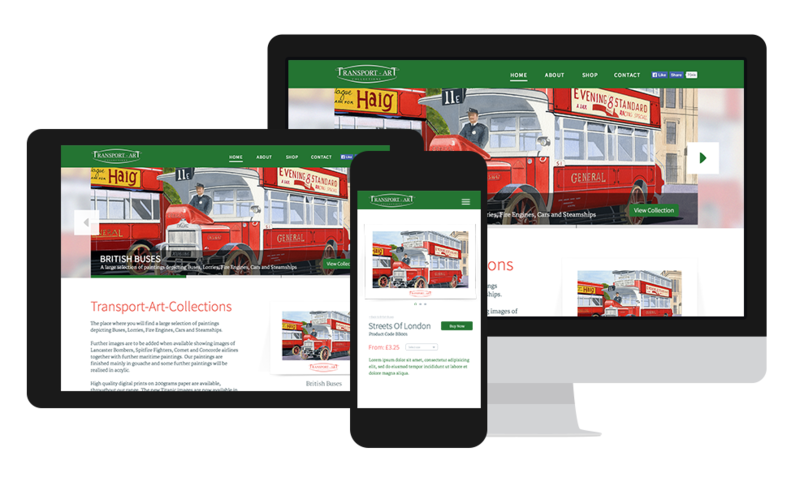 And avoid losing primary features when downscaling from desktop to mobile, the design is adapted through a responsive strategy that automatically restructured both content and functionality.